Minnesota’s frigid winter weather can be unbearable. But don’t let the Midwest’s low temperatures leave you with the chills. Instead, warm up to the reliability of Krinkie’s Heating, Air Conditioning and Plumbing’s heating services. From trustworthy system installations to rapid repairs to in-depth maintenance services, you can bet our professionals will turn up the heat on your home comfort. It’s time to win against winter. To do this, you need to equip your home with a top-notch heating system. At Krinkie’s, our team is dedicated to providing nothing but the best—and that includes the heating systems we offer and the quality of our heating replacement and installation services. Our certified technicians will use their heating expertise to fully evaluate your home’s layout and your comfort needs. Then, based on our findings, we will recommend the most fitting heating system for your home. And best of all, we will perform the replacement or installation soundly. This means our heating installation and replacement services are your hot ticket to a warmer home, friendlier services and complete serenity. If your heating system is under the weather, don’t panic. Krinkie’s team is here to help. You see, our team is well aware that heating systems are not indestructible. So, whether your unit encounters a minor hiccup or a major glitch, our comfort specialists have the knowledge and tools to perform a repair that lasts—and we do so quickly. It’s important that you keep an eye on your unit. The sooner you catch a problem, the less likely it is to escalate into a catastrophe affecting both your home comfort and your budget. Your heating unit keeps making loud noises. Your home isn’t reaching or staying warm. There is an increase of dry air and dust around your home. Krinkie’s team works around the clock to make sure we’re there when your heating system needs a repair. Whether it’s the weekend or the middle of the night, you can count on our team to save your comfort from being thrown into the fire and burning a hole in your budget. It’s time to put your heating system in the hot seat for a second. 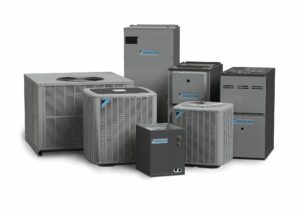 You see, even though your unit may deliver warmth throughout your home, it may not be operating at its peak performance. This means your system is working harder than it has to, causing you to consistently waste money on unnecessarily high energy bills. But the team at Krinkie’s can put a stop to this trend with our detailed heating maintenance services. From frequent unit check-ups to seasonal system maintenance, our team will uncover your system’s true wellbeing. Then, we clean, replace or repair your heating unit’s parts to effectively change your system’s performance from the inside out. In addition to saving you some serious cash, staying on top of your system’s maintenance needs clears the way for more efficient operation and a longer lifespan for your system. There’s no heating service that’s too hot for our certified technicians to handle. So to turn your house into a home that warmly greets you at the door, fill out our online form or call us at 651.488.5555 today!